After reporting a total of 28 chikungunya cases in 2013, primarily due to travel to south-east Asia and South Asia travel, the Public Health England (PHE) reports there has been nearly 200 cases seen so far in 2014, with more than 80 percent due to travel to the Caribbean. PHE has been made aware of 197 cases so far in 2014, of which, 162 cases have been associated with travel to the Caribbean and south and central America. The countries from which cases have been most frequently reported include Jamaica, Barbados and Grenada. 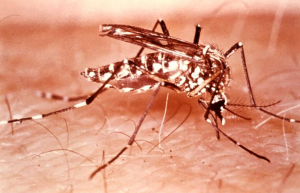 Since December 2013 when the first indigenous were reported on St. Martin, there has been more than 900,000 locally acquired chikungunya cases reported in the Americas. By October 2014, more than 30 islands and countries in the region had also reported indigenous chikungunya. There is no vaccine to prevent chikungunya. Travellers going to the Caribbean and other affected areas can reduce their risk of chikungunya and other mosquito borne diseases such as dengue fever by practicing insect bite avoidance measures. Anyone returning from affected areas with symptoms such as fever and joint pain should seek medical advice. Chikungunya is now a common infection in travellers from the Caribbean, and is currently reported more frequently than dengue. The Aedes mosquitoes which spread the disease are most active during daylight hours. Particular vigilance with bite avoidance should be taken around dawn and dusk. Doctors should consider chikungunya in patients with a fever who return from the Caribbean, especially if they have symptoms of arthritis, and test them for the disease.